Please select if Personalization is desired. A White Frame can be added, also. 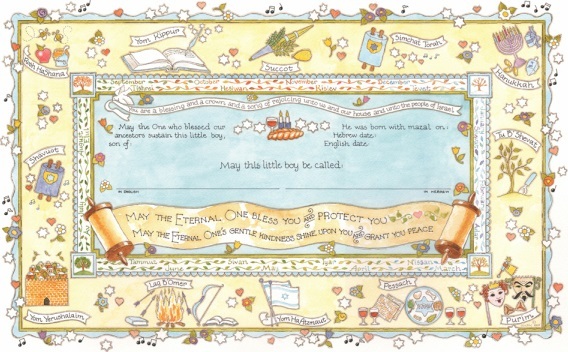 Baby Naming Certificate (Giclée) measures 19" x 12". You many have Artist calligraphy personalization. $25 extra. Fill out the text when at the check out page. Personalized Certificates can also be framed in White wood.